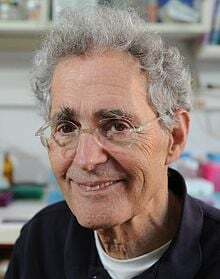 Howard Cedar, Professor Emeritus in the Department of Developmental Biology and Cancer Research at Hebrew University, is renowned for spearheading breakthroughs in the field of DNA methylation and cancer epigenetics. His findings have made a profound impact on understanding tumor biology and disease development. Among Professor Cedar’s honors are the Canada Gairdner International Award (2011), the Emet Prize, the Wolf Prize in conjunction with Professor Aharon Razin, and the Israel Prize. Educated at MIT, Professor Cedar earned his M.D. and Ph.D. from New York University. The Cedar Laboratory discovered and demonstrated that adding a chemical (methyl) group related to DNA affects how and when genetic information is used. DNA methylation is a form of such regulation, determining when a gene is turned “on” or “off.” This process ensures that specific cells, such as kidney or liver, fulfill their role. These investigations are aimed to increase early diagnosis and treatment of cancer and other genetic diseases. The Cedar Lab also discovered that DNA methylation can provide epigenetic tags signaling which genes should be read or disregarded in each cell. By linking epigenomes to varied diseases, scientists will gain knowledge needed to develop new therapies. Throughout his career, Professor Cedar has made lifesaving discoveries. Employing methodologies developed in his lab, Professor Cedar, invented a simple blood test that helps diagnose diabetes, multiple sclerosis, Chronic Traumatic Encephalopathy (CTE), Fragile X Syndrome, as well as early signs of cancer.